I remember seeing the commercials in the 80s and when Child's Play came out, that was the first thing I thought of. "My Buddy, My Buddy, Wherever I go, he goes. My Buddy, My Buddy, I'll teach him everything that I know. My Buddy and me, Like to climb up a tree. My buddy and me, We're the best friends that could be. My Buddy, My Buddy, My Buddy and Me!" Just received an update from TOTS. 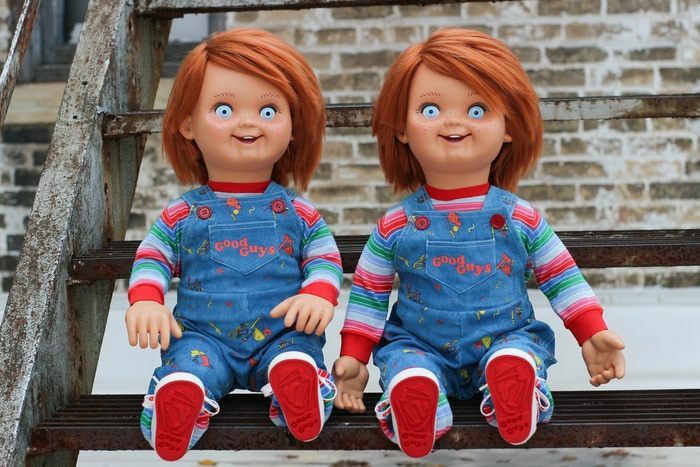 Here are the first 2 Chucky dolls fresh off the assembly line. I am really glad I ordered this. It will really be something to see when it is in the collector's box. Perfection! I really hope he cusses up a storm. With that comment. 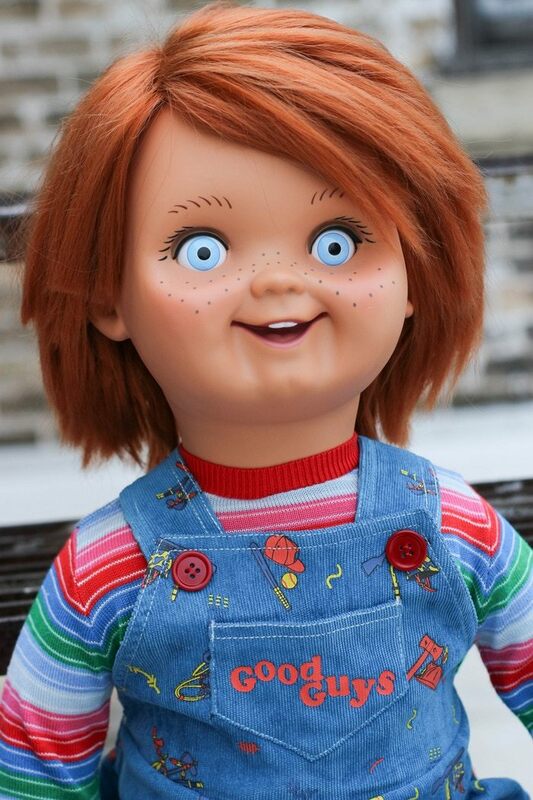 This Chucky and voice-chip would be GREAT at Family gatherings. 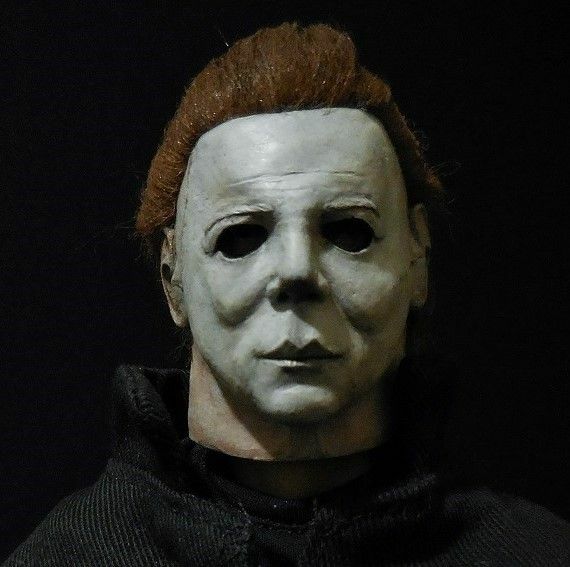 So Trick or Treat Studios is expecting their first batch of Good Guy dolls to.arrive on Tuesday or Wednesday of next week. Kickstarter backers are getting theirs first, and it is my understanding that all orders placed before today will be part of that first batch. If you ordered after today, you will have to wait until the second batch comes in June. I ordered mine a few days into the Kickstarter program, so I should receive mine early from the first batch. Really looking forward to it.